Personally if I had to say what was my most exciting beauty launch of 2014, it would have to be the fact that Tarte was coming to the UK thanks to QVC. Considering I knew that a few of my friends would be travelling to the US this year, I was planning on waiting to give them a Tarte wishlist as long as my arm for them to buy me. However temptation was too much and I ended up placing a cheeky order with QVC. The range QVC does stock is limited, however it appears to be expanding all the time, so it is worth checking out their website on a regular basis (plus they have special value prices). Any product which has been hyped up no end in the blogging community I'm always a bit wary about purchasing in case its a major let down. 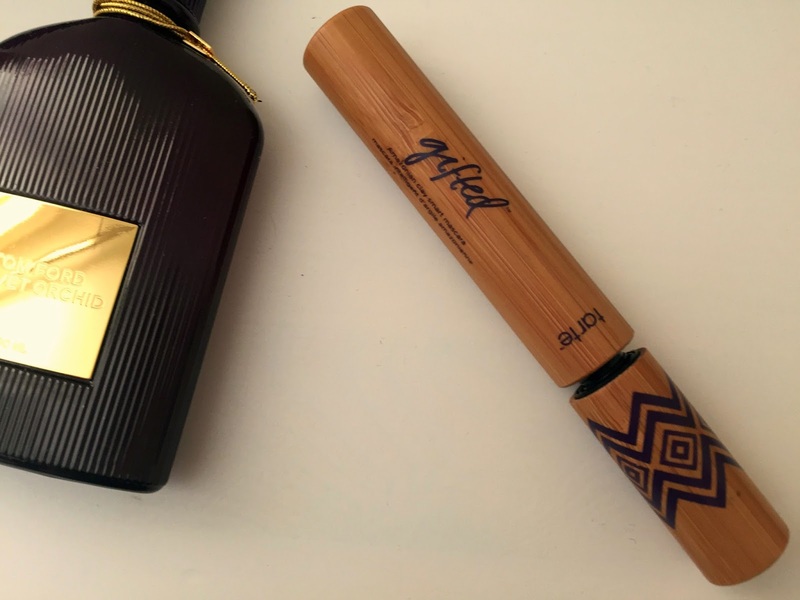 However their Amazonian Clay Mascara has become a firm favourite in my make up routine. The consistency is quite strange - its not too dry, yet not too wet and does an amazing job of giving your lashes length and volume. I found that the mascara needed a good two coats to make an impact, however this personally doesn't bother me as I prefer to wear about 20 coats of mascara. The reason why this mascara is called a "smart" mascara is due to the fact that it treats your lash concerns and provides treatment to dry and brittle lashes. To be honest I'm lucky to have long, strong lashes (watch them snap off now I've said that) and I personally can't really comment as to whether this works. I have noticed that my bottom lashes are looking longer, however this may be to do with the consistency of the mascara. The fibre brush does seem to pick up a lot of product and I find that I have to remove a bit before applying - however I don't think the formula of this would work with a plastic brush. I know that £21 for a mascara is quite expensive and I bought this with Christmas money - personally is it worth the price tag? Nope. If someone offered to buy you it - rip their hands off to get it. Maybe the higher price could partly be due to the luxe packaging - however I will be getting a back up from America (and probably half the Tarte range). What are your top Tarte picks?